As work days go, this one was surely right up there in the top ranks. 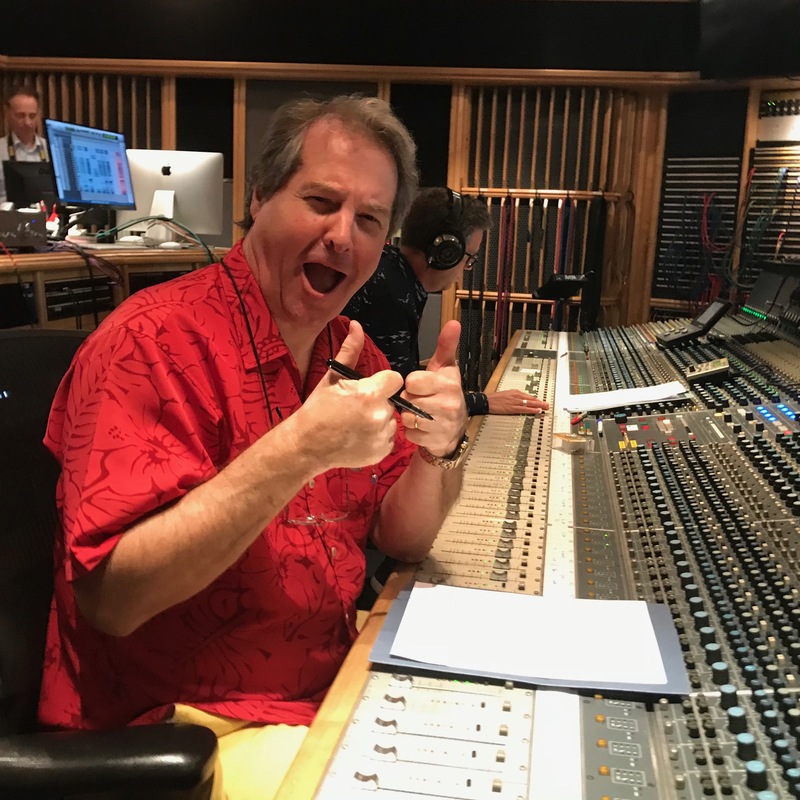 Earlier this week the rambler had the enormous good fortune to spend a day in the studio with Mike Valentine, owner and producer of the audiophile record label Chasing The Dragon. And what a studio it was! 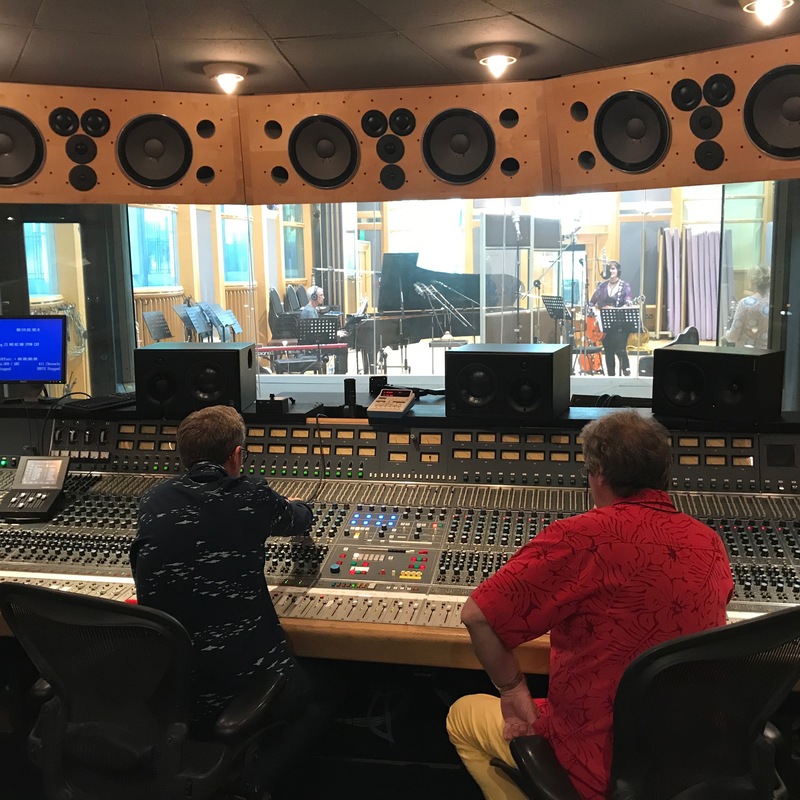 Dear reader, if you ever get a chance to visit North London’s world-renowned AIR Studios, grab it with both hands and feast your eyes and ears on music production heaven. I don’t think I’ve ever seen such impressive facilities. This is state-of-the-art stuff. 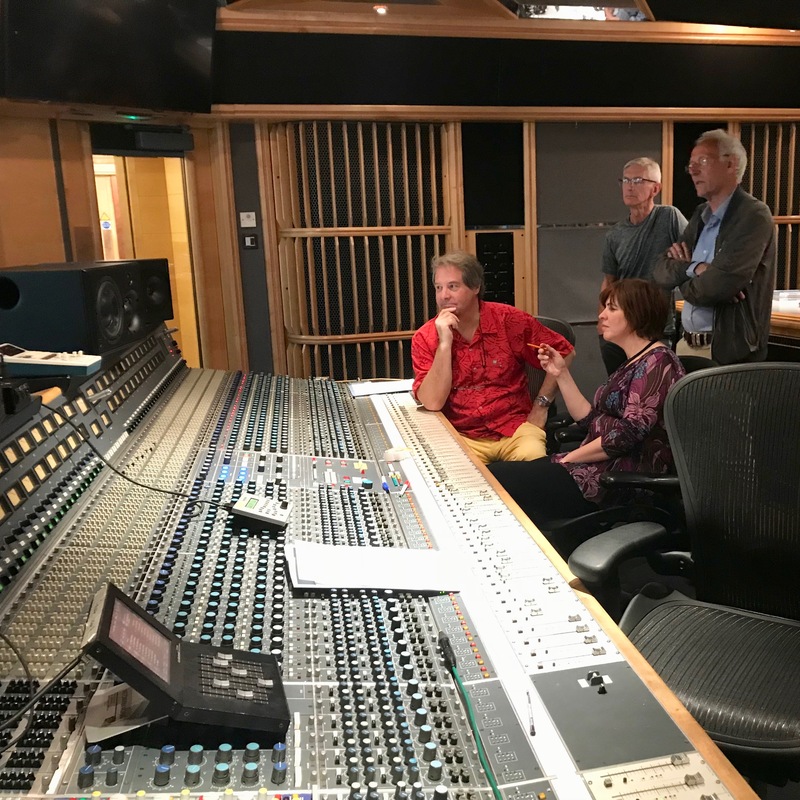 AIR Studios was founded by the legendary Sir George Martin and its list of clients from music and film read like a roll call of the good and the great. The studios are atmospherically housed in a converted church building and as I walked in I couldn’t help but feel the weight of history and musical genius in those walls! 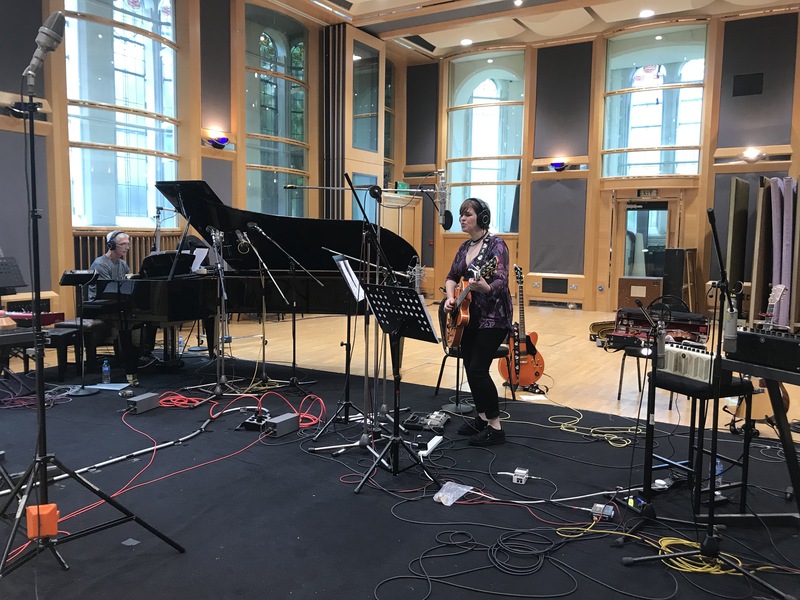 On this occasion we were in Studio 1 and the album to be recorded was ‘Forgotten Dreams’ by Irish folk-rock singer-songwriter Eleanor McEvoy. The recording process was to be a triple whammy: McEvoy’s performance would be captured digitally, on reel-to-reel tape and direct cut to vinyl. All of which poses some particular challenges for everyone concerned. Fortunately there was one heck of a gathering of skill in the room that day. Recording a vinyl album direct-to-disc isn’t for the feint-hearted. Each side has to be captured in one long single take. There are no multi-tracks, no overdubs, no edits, no cuts – nada. Just the pure, raw material: song after song recorded exactly ‘as is’. So the quality, confidence and professionalism of the artists is more important than ever. They have to perform the whole side flawlessly with no stops and with just a couple of seconds’ breaks between each track. The risk, and the excitement, is that this can go one of two ways. If the artists are too nervous of making a mistake, their performance can become somewhat lacklustre. On the other hand, a confident artist who knows that there’s no post-production polishing to follow will go for it and give it their all. Fortunately Mike Valentine knows how to pick a good artist and so we were treated to the latter scenario. McEvoy sang vocals and played electric and acoustic guitar and violin, with piano accompaniment from Damon Butcher, former keyboard player with ‘The Beautiful South’. I was seriously impressed by their cool composure (especially with a bunch of press looking on, notepads in hand). 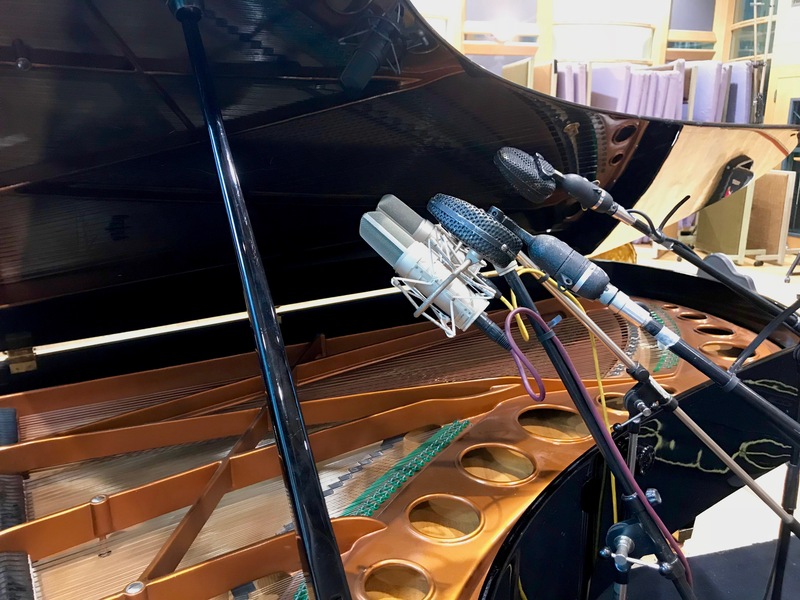 Imagine having to perform each track to perfection with just a couple of seconds between songs to put down your violin, pick up your guitar, plug it in – all totally silently, otherwise the whole side will have to be recorded again from scratch. (Okay so there was one dropped water bottle top that resulted in a re-take of a side but as far as I’m concerned, that just further cemented my feelings about what perfection-seeking professionals the people here were). Talk about pressure – I was definitely happy to be tucked away behind the scenes! As luck would have it, behind the scenes was exactly where all the wondrous audiophile stuff was happening. Since Mike was cutting direct to vinyl, all the mixing obviously had to be done live. So the microphones fed into the mixing desk where mixer extraordinaire Jake Jackson did his stuff in real-time, just as a live sound engineer would do. The desk’s output was then fed to the various recording machines… but before I mention those I just have to pause for a moment to say woah! That mixing desk. Oh my. The utterly stunning and unique AIR-custom vintage Neve/Focusrite 72-channel desk. Seriously, I’ve seen less complex-looking flight decks. I’d happily dedicate the rest of my life to learning how to master one of those (though in practice it’s probably take me far longer). Anyway, what was I saying… ah yes, the desk’s output was then fed to a trio of recording routes. For the digital recordings there were two high definition machines, a Tascam DA3000 (DSD) and a Nagra 6 PCM 24/192, manned by Matt Sartori. The reel-to-reel tape set-up was an Ampex ATR100 recorder with half-inch, two-track master tape running at 15 ips, with AIR Studios’ Jon Prestage at the controls. 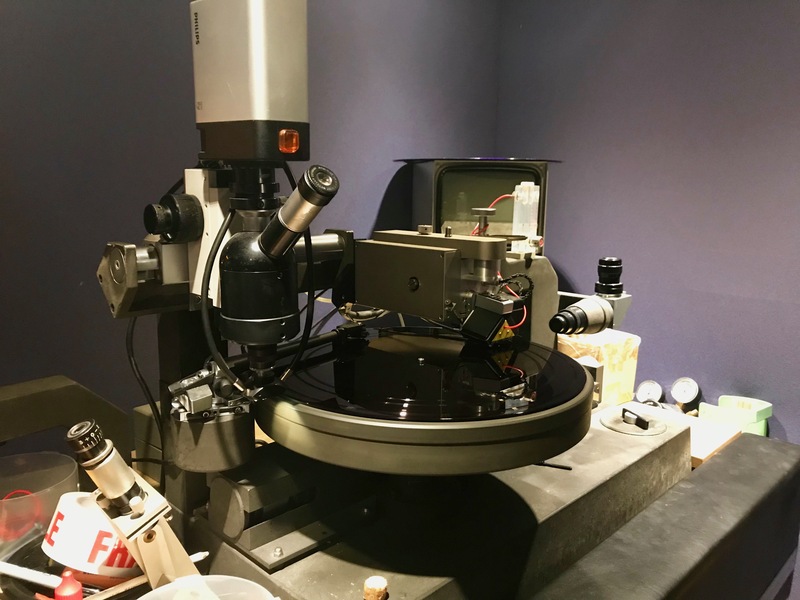 And two floors above us, mastering engineer John Webber was in charge of the direct-cut vinyl recording using a Neumann VMS-80 cutting lathe. 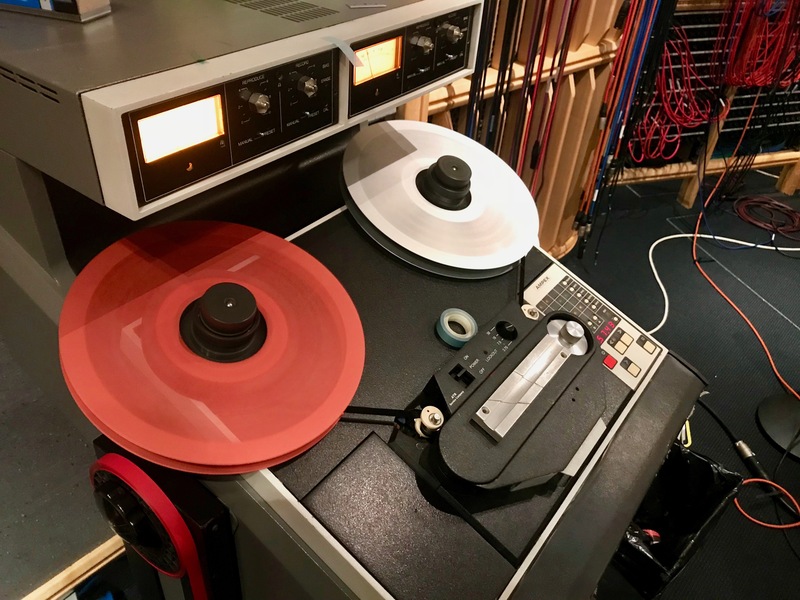 Now, while reel-to-reel tape is always going to be my personal object of greatest desire, I have to admit that the greatest excitement of the day came from the direct-cut vinyl recording process. From there we’re in a live performance situation in which everything has to be right, or it’s ‘cut’ and start over. Then, at the end of the side, we all wait with baited breath again until the run-out groove has been cut and the side is complete. The whole experience is electric. 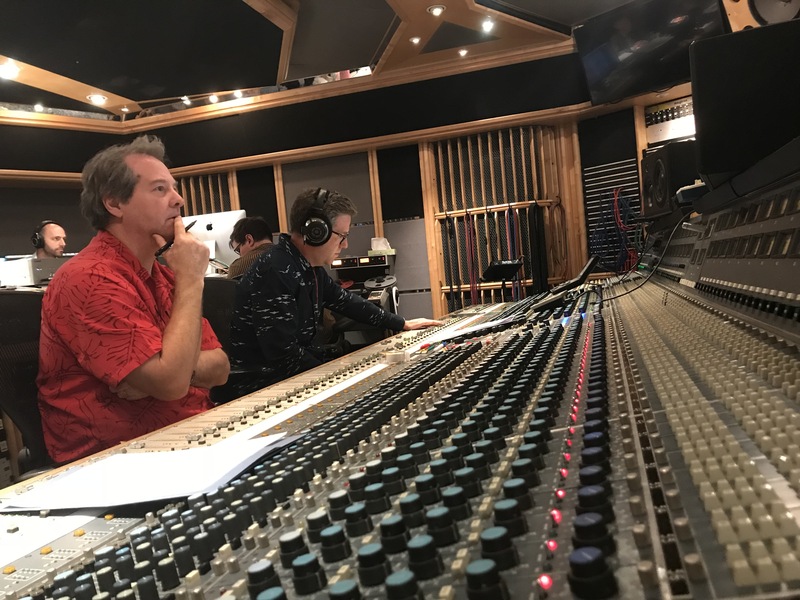 It’s takes some serious skill and nerve for sure, but what it delivers is a feeling of life to the recording that’s almost impossible to achieve using traditional recording methods. It was a fabulous day which I felt genuinely honoured to be a part of and I can’t wait to hear the recording in its various formats. Eleanor McEvoy’s ‘Forgotten Dreams’ will be released on direct-cut vinyl album, master tape, CD and hi-definition digital download. Keep an eye on www.chasingthedragon.co.uk for the release date. Spotlight on the new Ballfinger M 063 tape machines – x 4!